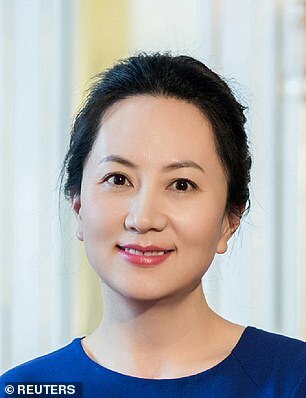 Huawei Technologies Co Ltd’s chief financial officer, Meng Wanzhou, the 46-year-old daughter of the company’s founder, was detained in Canada on December 1. 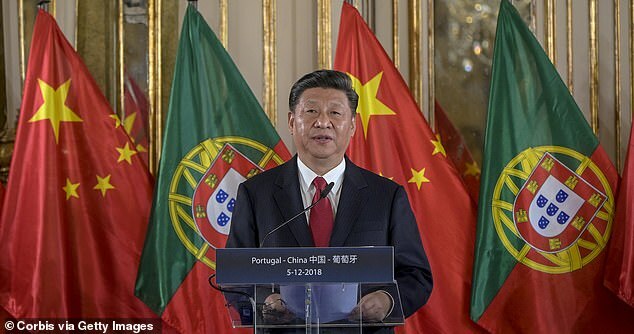 The leaders moved to distance themselves they had any knowledge of the arrest amid fears it could harm trade agreements with China. 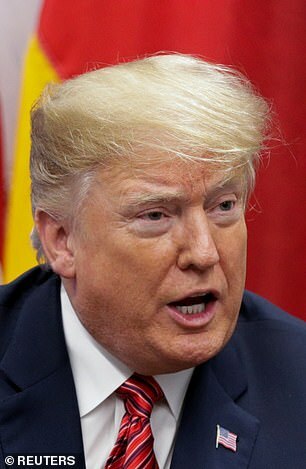 Meng faces extradition to the US over alleged violations of American sanctions against Iran, sending the Dow Jones Industrial Average plunging more than 700 points on Thursday morning. 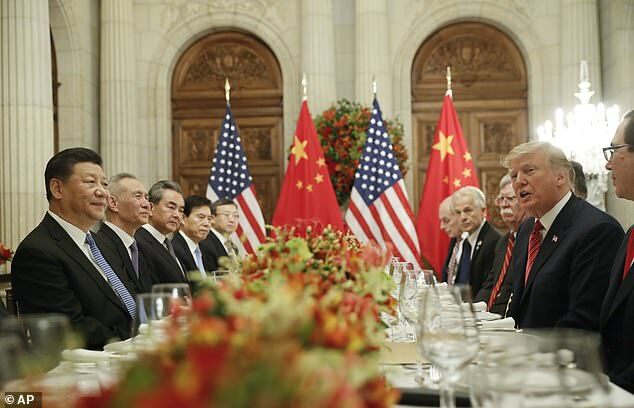 A White House official told Reuters Trump did not know about a US request for her extradition from Canada before he met Xi and agreed to a 90-day truce in the brewing trade war. Meanwhile Canadian Prime Minister Justin Trudeau said officers who arrested her Saturday as she was changing planes in Vancouver had acted on their own. 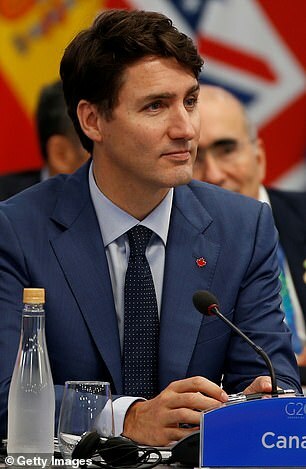 ‘I can assure everyone that we are a country (with) an independent judiciary,’ Trudeau told a tech conference in Montreal. ‘And they took this decision without any political involvement or interference’. Citing a court-ordered publication ban sought by Meng, Trudeau declined to comment further on the case, which according to a US senator was brought over Huawei’s activities in Iran. ‘The concept of getting a quick resolution is fading,” Art Hogan, chief market strategist at B. Riley FBR, said of the trade tensions between the world’s two largest economies. China said that Meng — the daughter of Huawei founder Ren Zhengfei, a former engineer in China’s People’s Liberation Army — had violated no laws in either Canada or the United States. ‘We have made solemn representations to Canada and the US, demanding that both parties immediately clarify the reasons for the detention, and immediately release the detainee to protect the person’s legal rights,’ Chinese foreign ministry spokesman Geng Shuang said in Beijing. Huawei also said in a statement that it was compliant with ‘all applicable laws and regulations where it operates’. After news of the arrest, Huawei said it has been provided little information of the charges against Meng, adding that it was ‘not aware of any wrongdoing by Ms. Meng’. Huawei is under intense scrutiny from Washington and other governments over its ties to the Chinese government, driven by concerns it could be used for spying. It has been locked out of US and some other markets for telecom gear, but has repeatedly insisted Beijing has no influence over it. 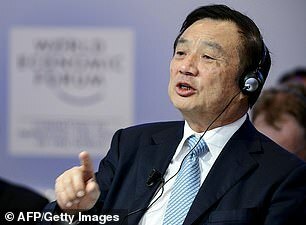 Huawei is one of the world’s largest makers of smartphones and telecommunications network equipment, and has been labeled a national security threat by US officials. They have urged allies who host American military bases to ban the use of Huawei products in their communications infrastructure.